Yadira Guerrero-Garcia '15 noticed little attention was paid to Our Lady of Guadalupe on campus when she arrived in 2011. Since then, the idea has blossomed into a week-long celebration of the Blessed Virgin Mary, faith and culture. 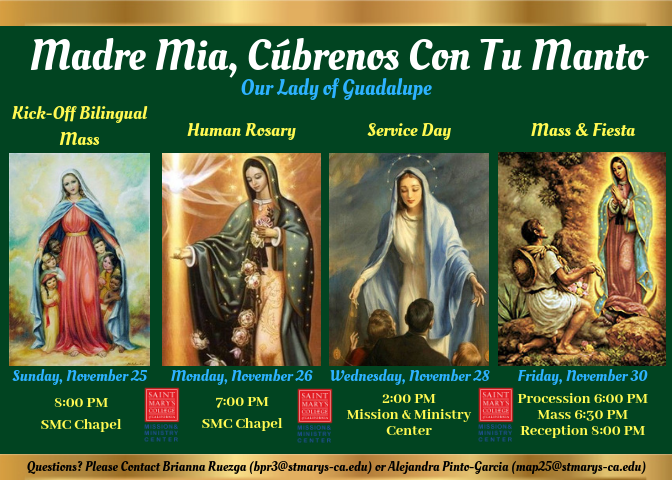 "I wanted to transcend the love that [Our Lady of Guadalupe] gives me to the entire campus community at Saint Mary’s,” Guerrero-Garcia said.